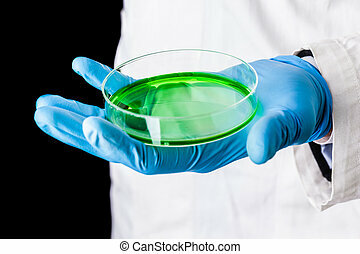 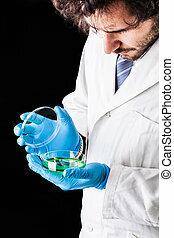 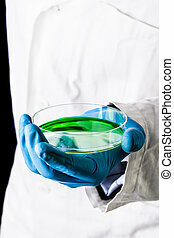 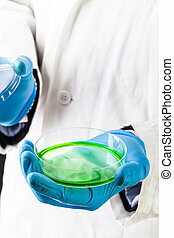 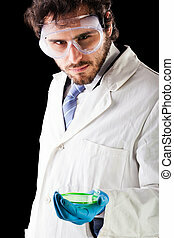 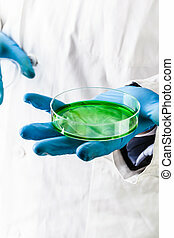 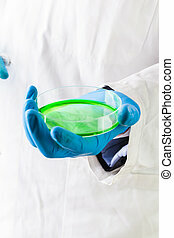 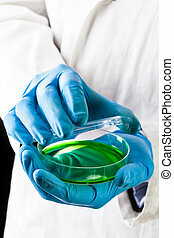 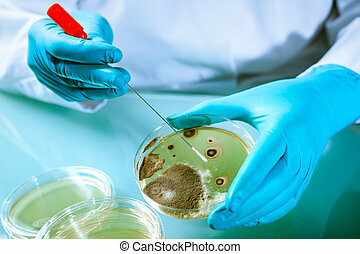 Agar plate with growing germs. 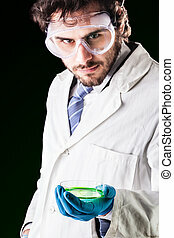 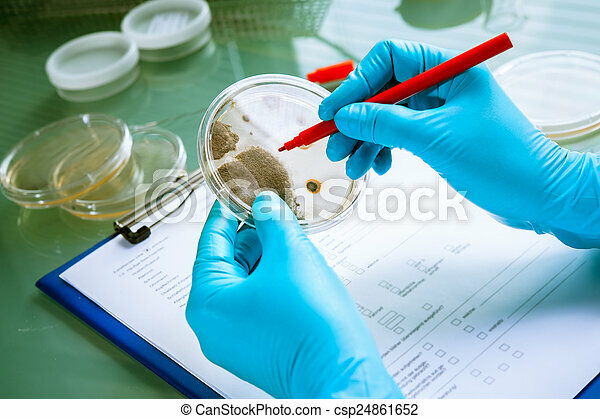 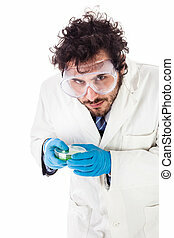 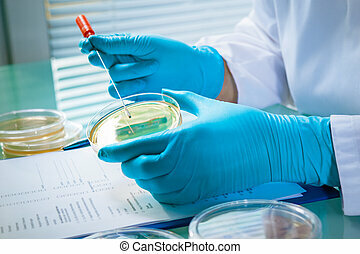 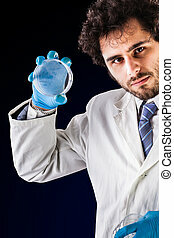 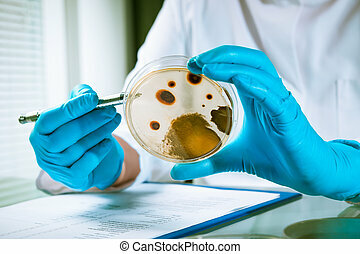 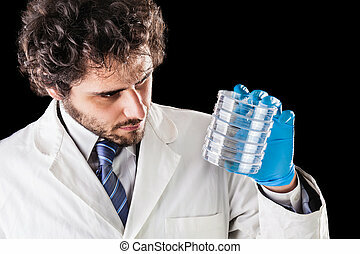 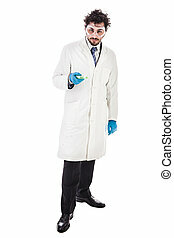 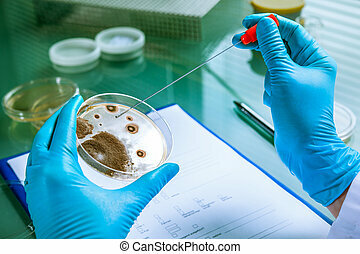 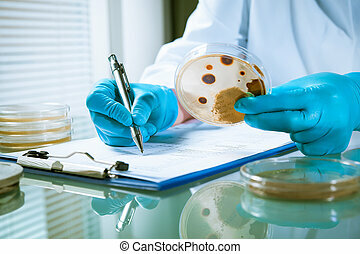 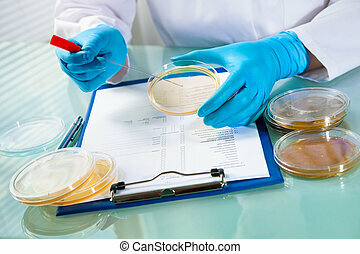 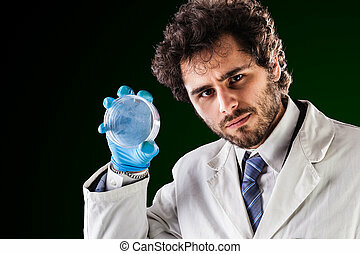 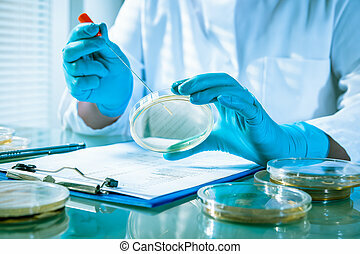 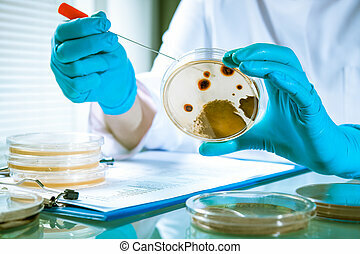 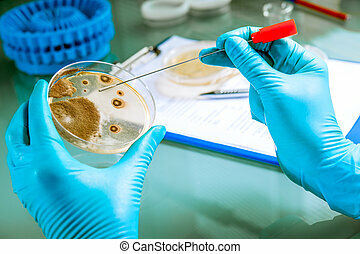 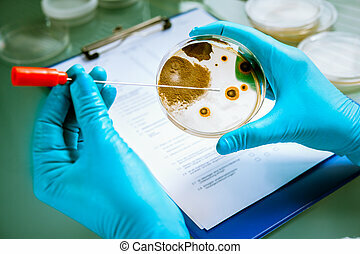 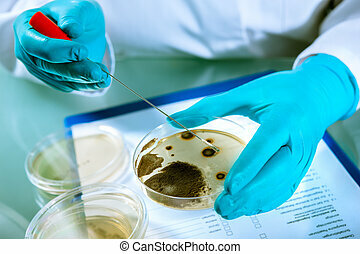 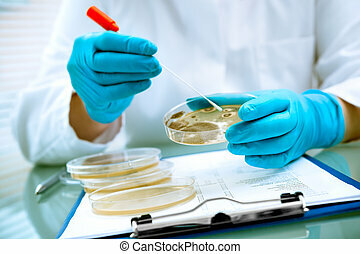 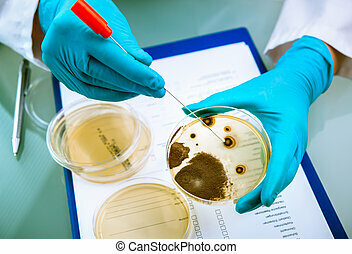 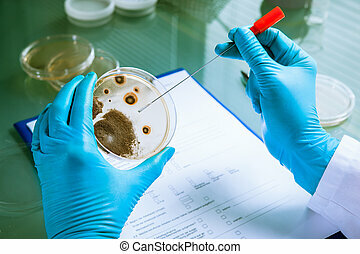 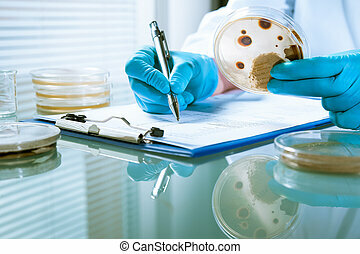 Germs growing on an agar plate in laboratory. 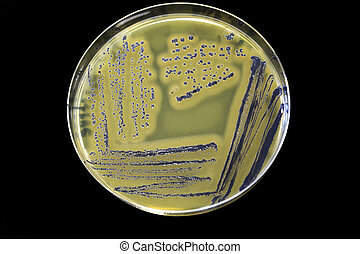 Food safety bacteria pathogen Staphylococcus aureus growing on Baird Parker agar with egg yolk and tellurite.